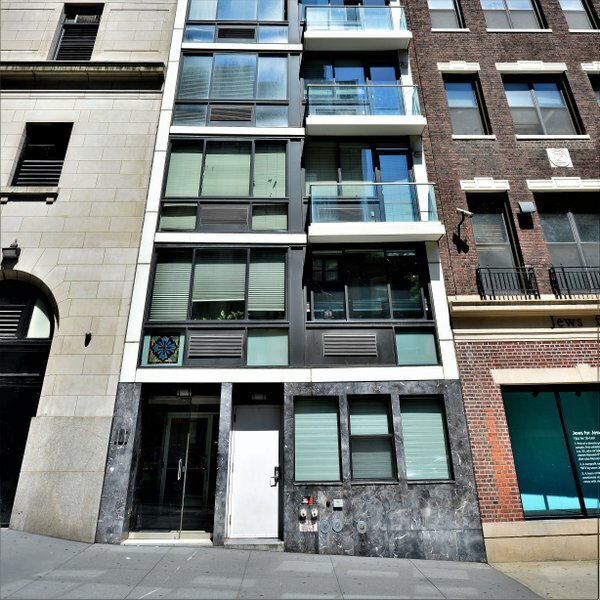 Surrounded by skyscrapers and major landmarks in Midtown Manhattan, The Vetro is a post-war condominium building at 107 East 31st Street. Midtown East is close enough to everything Manhattan has to offer, including Broadway musicals, shopping, movies, and of course plenty of restaurants and clubs. 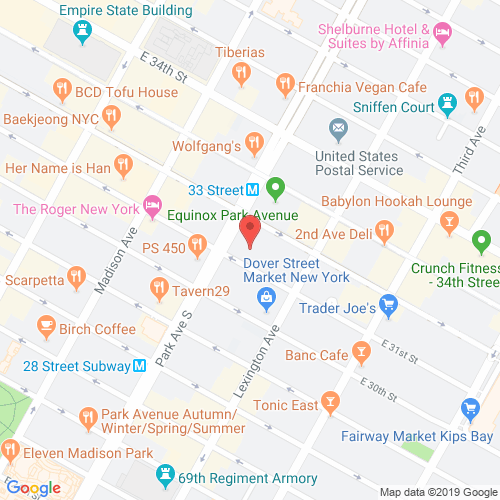 The Vetro is walking distance from Madison Square Park. Being in the center also means access to plenty of subway options, making traveling within the city, or going outbound, very easy. The Vetro was expanded from a 5-story commercial building to a 9-story condo, containing just 15 units. The Vetro's glass facade has protruding Juliet balconies, while the rear apartments have traditional balconies. Residents enter their units through the keyed elevator and are able to utilize The Vetro's concierge services. Each apartment has white oak floors and comes fully equipped with washers and dryers. The kitchens are furnished with Bosch ranges and dishwashers, Delonghi ovens, Mondrian glass tile backsplashes and Caesarstone quartz countertops. The bathrooms have Kohler tubs, Duravit sinks, Robern cabinets, Toto toilets and Calacatta marble tile walls for a lush experience. Residents and their visitors are granted access to the roof deck, providing a great view of Midtown Manhattan.